Political stakeholders in Bogoro Local Government Area of Bauchi State have explained reasons for the isolated victory of the Peoples Democratic Party, PDP, in the local government during penultimate weekend’s Senate by-election in Bauchi South Senatorial District. 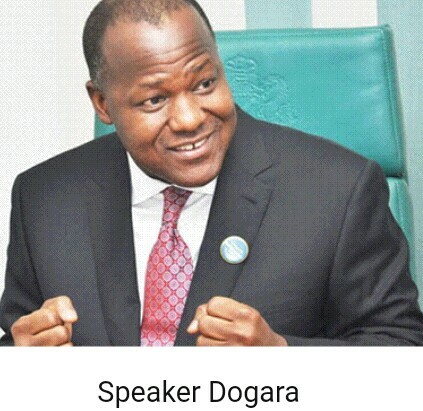 Speaker Dogara Though the All Progressives Congress, APC, won the election in every other local government area in the constituency, Bogoro, however, broke the trend with the PDP winning almost twice as much votes as the APC in the local council. Bogoro is the Federal Constituency that Speaker Yakubu Dogara has represented since 2007. The chairman of the PDP in the local government area, Hon. Daniel Musa, told Vanguard that the speaker did not carry out any campaign for the APC senatorial candidate in his ward, suggesting that he was not interested in the APC winning. “The speaker never came out categorically to campaign for any candidate of the political party contesting the election, though there were rumours that he was canvassing for support for the APC, I feel it is not true. “Again, there are allegations that his body language depicts he has gone back to the PDP, I feel it is not true because it is just a mere body language and not an official declaration. “If he has come back to the PDP, he would have contacted me and told me about it, but I am expecting him from now to 2019 to make that declaration,” he said. Musa said APC lost in Bogoro LGA because of the strong affinity of the people to the PDP, mainly on account of the development projects delivered to the people by past federal and state PDP administrations. “All the federal government interventions in Bogoro Local Government Area were brought when the speaker was in the PDP from 2011 to 2015. He left the party for the APC when he was denied the ticket to contest again, but I think the speaker still loves PDP.” Also reacting, a former APC councillor in Bogoro Local Government Area, Monday Danladi, said that the area became inclined to the PDP from the time of the Goodluck Jonathan administration and the people have pledged to keep it that way. “I think this was a contributing factor and the people were not necessarily swayed by the influence of the speaker, the people decided on their own,” he said. Some of the federal government interventions include National Open University Study centre in Tafawa Balewa, the free medical outreaches, and construction of federal roads.